Our products are meant to help people get better.Our concept of quality control is of a dimension unknown to others. For example, each charge is checked for minute irregularities by 3D measuring machines. Functional tests ensure that tear-off or break-off edges function perfectly - for use in an emergency. 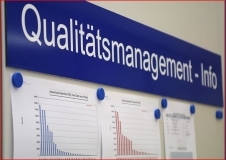 We document the quality of our products in the form of test records.